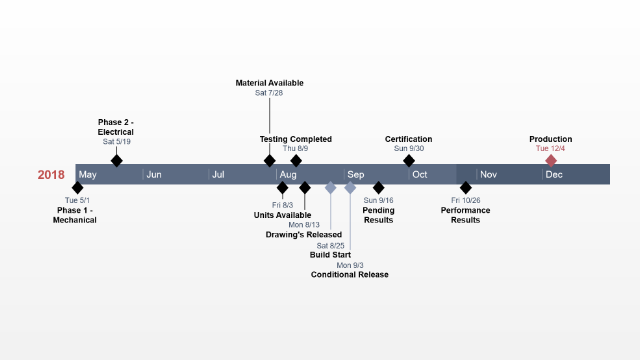 Keeping team members, executives and stakeholders informed about the critical activities of a project becomes simple with this project status report template. 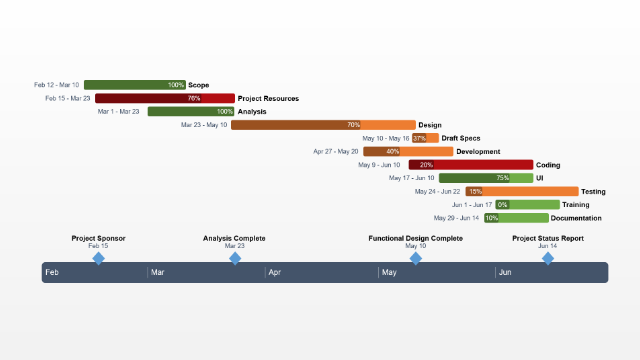 It was created for project managers who want to provide their audience with a clear, visual summary of where a project stands, as well as how various tasks or phases of the project are going. The template will help business professionals lay out key deliverables, developments and risks associated with a project in a convincing and easy-to-follow manner. 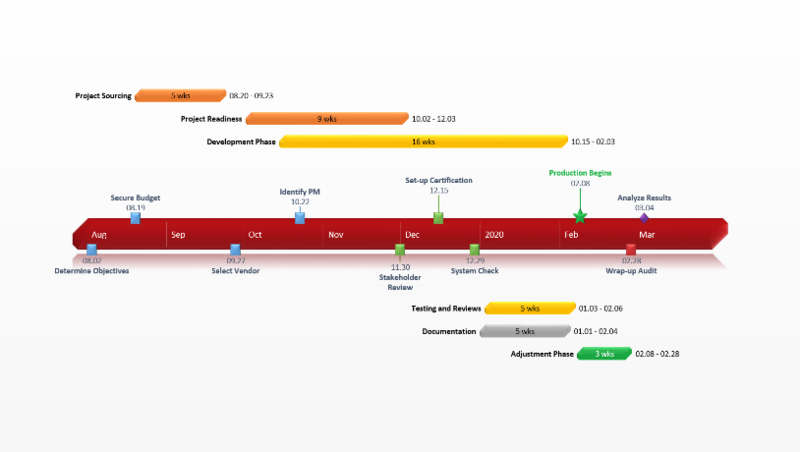 For a project to be successful, its parameters have to be outlined and planned ahead before any actual work takes place. Using this editable project status report template enables project managers to clearly define the project milestones and measures of progress that teams, clients and executives need to review and agree to at the very beginning of the project. This free template was built natively in PowerPoint to make it simple to edit, present, share or print. It can be downloaded for free and edited manually, or it can be automatically updated and customized with the Office Timeline plugin for PowerPoint. 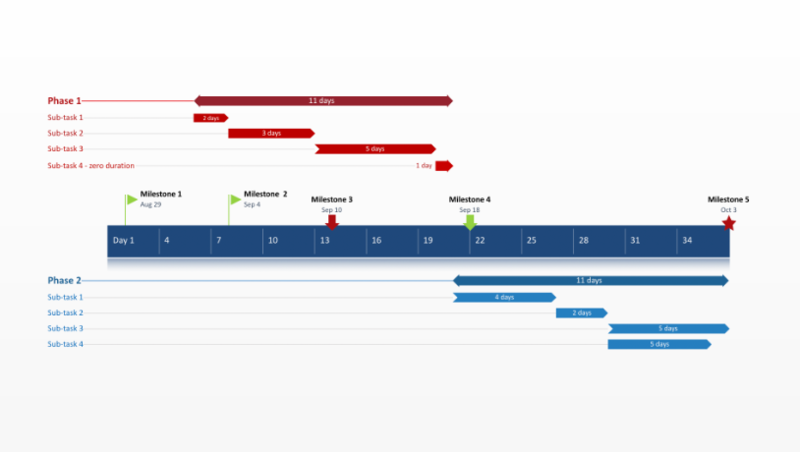 Office Timeline is a PowerPoint timeline maker that allows project management professionals to create visually-compelling project reports for high-level presentations. 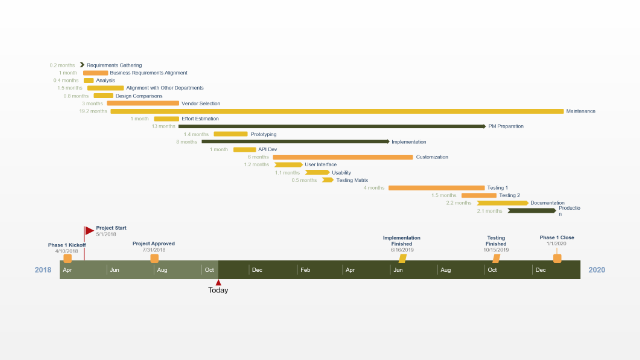 Designed to work right inside PowerPoint, Office Timeline provides a familiar environment that makes it easy for anyone accustomed with Microsoft’s popular presentation software to view or update the status report template. This means team members can easily collaborate on the report, while clients and executives will have no problem opening it on their computers or understanding the key aspects presented. Using the add-in’s time-saving functions, business professionals can easily show the project’s progress as time passes. The tool allows them to quickly revise task and milestone dates, add task durations and mark the elapsed time, or quickly change the task bands’ percentage complete indicators. Such features can help users adjust the template to fit different audiences or contexts with just a few clicks, so they can have a clear, stylish visual ready whether they need to present it in weekly reports, monthly stakeholder meetings, or team status reviews.